Flying Wild Hog’s remake of Shadow Warrior is a pretty special game to me. When it arrived in September of 2013, I was adjusting to a new job and had just gone through a decidedly unpleasant breakup. I had already played Flying Wild Hog’s freshman effort, the cyberpunk retro-FPS Hard Reset, and I loved it. But Shadow Warrior was something else entirely; it evolved the Hard Reset formula by adding more weapon types and in particular a highly complex sword fighting mechanic. More than that, however, it had a razor-sharp wit and an uncharacteristically spiritual story. 90s joke character Lo Wang became an irreverent yet self-aware anti-hero, and his unlikely partnership with the exiled demon Hoji was the source of some great sarcastic exchanges. Amid confusion, hurt and a whole lot of seriousness, the wicked humor and hard-hitting action of Shadow Warrior was exactly what I needed in September 2013. Now Flying Wild Hog is back, three years later, with a sequel far more layered and ambitious than the original. I’ve spent the last week experiencing more Wang (as the game’s tagline smarmily puts it) and it’s been enlightening to say the least. 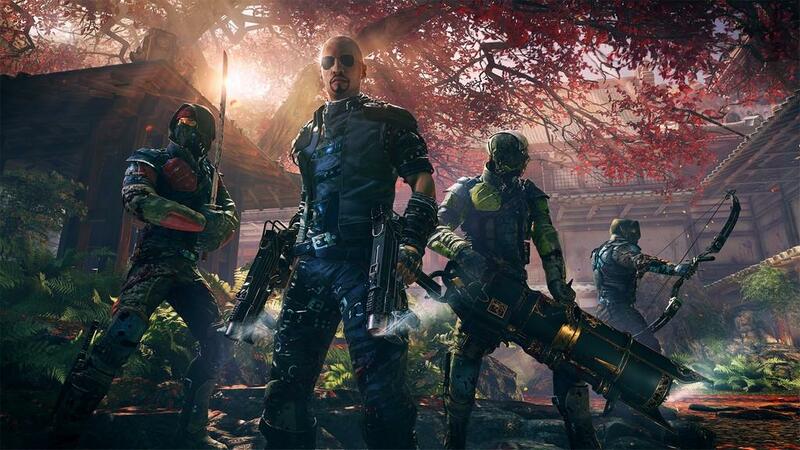 Shadow Warrior may have made drastic updates to the weapons, story and humor of the classic 90s shooter but at its heart, its structure was remarkably similar. 2013’s Shadow Warrior felt like a new Build engine game; the levels and narrative were fairly linear but packed with secrets, classic references and traps. 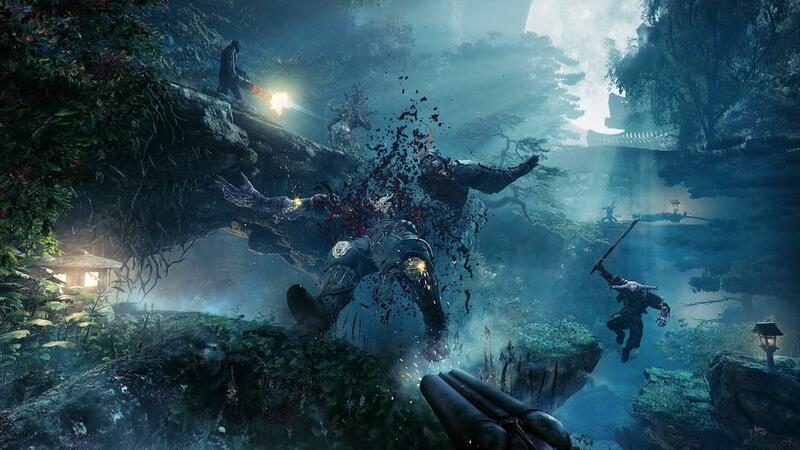 Shadow Warrior 2, conversely, breaks out of the level-based structure into something more modern. After the introductory stages, the game shifts to a hub world that serves as Lo Wang’s home base. After the original Wang Cave got torched in the 2013 game he built a new one in a secluded ninja enclave, and his new cave is even more ostentatious and gloriously immature than the first one. A number of small shops and artisans have set up business around the new Wang Cave, establishing a handy little hub to re-arm and select new missions from. That’s the main difference here: while there is a main plotline, you can generally choose which order to take missions in. There are primary missions that progress the story arc but the sidequests are often just as involved—and difficult—as the main quests. These all begin with fully voiced cutscenes and introductions too. They can involve anything from shutting down a drug ring to raiding a lab for company secrets, but they almost always have more going on than just the basic mission objective. The maps themselves are quite a departure as well. 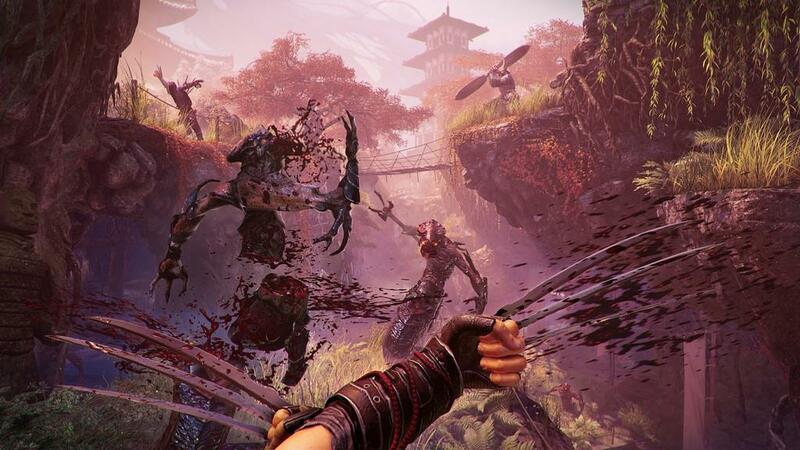 A far cry from the detailed-yet-linear levels from the first game, Shadow Warrior 2 introduces maps that act as sprawling hubs in and of themselves, often with objectives peppered throughout. I’ve seen other shooters try to pull this off but none have done it quite as well as Shadow Warrior 2. These maps are huge, with dynamic objectives and enemy encounters that appear out of nowhere; instead of the scripted battles from the first game, bad guys will just spawn in and jump you if you dawdle too long. Enemy variety—one of the few criticisms of the first game—is also addressed here, with everything from mutated wildlife and Yakuza thugs up to serpentine nagas and towering hellish minibosses appearing in the new game. To deal with so many formidable new threats you’re going to need an arsenal to match, and Flying Wild Hog gives you a great one. The first game was memorable for a zany but eminently satisfying host of guns to shred your enemies with, notable among them being the mystical Nobitura Kage katana. Wang has his signature sword back, but it’s joined by a whole new roster of melee weapons, in addition to new guns, bows and other esoteric options. The katana can be swapped for dual electric wakizashi, crescent blades, a spiked bat and even a freaking chainsaw. The guns are just as deliciously satisfying and powerful, but there’s a twist on how all the weapons operate now. Instead of buying incremental upgrades, now each weapon has three slots for installing gems. These relics often litter the battlefield after a hectic fight, so you’ll collect a ton of them early on. The gems not only add ability buffs such as power and clip size, but also imbue weapons with elemental effects like ice, lighting, fire and acid. Appropriately many enemies are strong or weak against certain elements, so this adds a meta-game of choosing the right weapon for each enemy. Through gems, weapons can also gain the ability to sap HP, Zen energy (mana) or karma points (XP), inflicting status effects and dealing damage over time. To be honest, I’m not sure how I feel about this upgrade mechanic. On paper it’s a natural evolution of the fairly linear system from the first game, but in practice it can be rather confusing. With multiple weapons for each class and three gem slots for each, it can be difficult to remember which gun is buffed with what power. It’s even more of a hassle when you’re in the middle of combat—which is even crazier than before—and you’re frantically fiddling with your weapon wheel and number keys just trying to get the right weapon out. It’s a cool idea but it’s just not as intuitive as “big demon= exploding harpoons” from the first game. Of course this is less of an issue in co-op, which is the sequel’s other new big feature. You and up to three friends can team the levels together, and it’s all rather seamless; I tested it with my brother and he could join my already-in-progress campaign with no problems. It’s drop-in, drop-out any time co-op and the difficulty scales dynamically; I was amazed at how difficult the minibosses got when my brother joined the game, until he caught up to my location and helped me take a behemoth down. 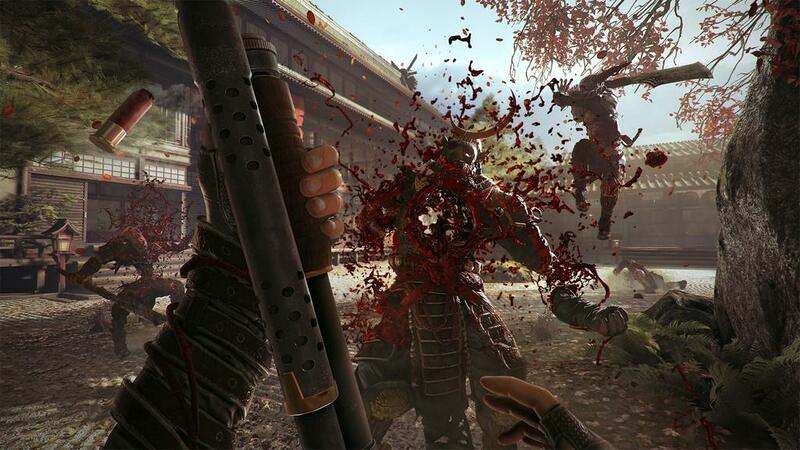 Shadow Warrior 2’s co-op takes many lessons from Serious Sam 3’s great but insane 12-player cooperative, and does an even better job of it. I wouldn’t say this game necessarily needs to be played with friends to get the full effect, but it’s definitely not a tacked-on feature. The co-op doesn’t really factor into the plot at all—Wang just occasionally has a few of his friends along, apparently—and while I’m fine with this, the story is one of the few areas I was a little disappointed by. Orochi Zilla and his corporate empire apparently survived the first game unscathed because five years later he’s still in power and has turned a huge chunk of Japan into a William Gibson-esque cyperpunk hellscape. He’s experimenting with one of his lab technicians, a brilliant young woman named Kamiko, and in the process her body becomes corrupted with demonic energy. Lo Wang’s mentor, the enigmatic Master Smith, must transfer Kamiko’s soul into Wang’s body. As a result Wang ends up with another snarky character hanging out in his head, Cortana-style. While I understand this is a common theme in the series going forward, I don’t feel like Wang’s chemistry with Kamiko is as entertaining or natural as his interplay with Hoji was. Hoji had this sarcastic world-weariness and despite his amnesia, the disembodied demon always had a withering remark to cut Lo Wang down to size. Kamiko is more like a precocious child; smart but annoyed by the whole situation in a “literally cannot even” teenager kind of way. The nonlinear structure of the missions also gives the story less immediacy, and the spiritual impact isn’t as great. That said, I must stress that Shadow Warrior 2 is a surprisingly robust game and I admit that I haven’t beaten it by the time of this writing. Hopefully the story gets a lot more involving and meaningful; the 2013 game’s story had me cheering, laughing and even tearing up at times. Regardless of any plot quibbles, Flying Wild Hog have brought their A-game when it comes to production values, both in terms of art direction and raw graphical power. The 2013 game impressed me for being essentially an indie effort that contrasted breathtaking vistas with over-the-top graphic violence, and wrapped it all in a true sense of Eastern style. Shadow Warrior 2 is far and away even better. While some critics complained that the first game’s environments ran together, the sequel has a ton of map variety, adding swamps, forests, city blocks, rain-streaked streets and ornate mansions. All of it runs at 60FPS and so far I’ve only run into one solitary bug while playing. What’s really amazing is that this game—this content-packed, fast-paced, visually gorgeous game—is practically bug-free and selling brand new for $40. With Mafia 3 launching at 30FPS on PC, and an utterly broken late alpha like No Man’s Sky still selling for $60, a new PC release that sells for $40 and actually ships feature-complete and more or less stable is something of a minor miracle. 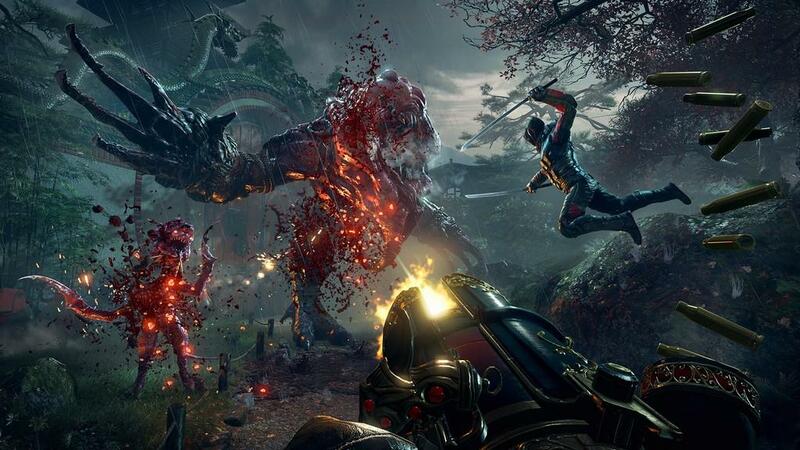 Shadow Warrior 2 shows the characteristic growing pains of a franchise maturing into something grander. 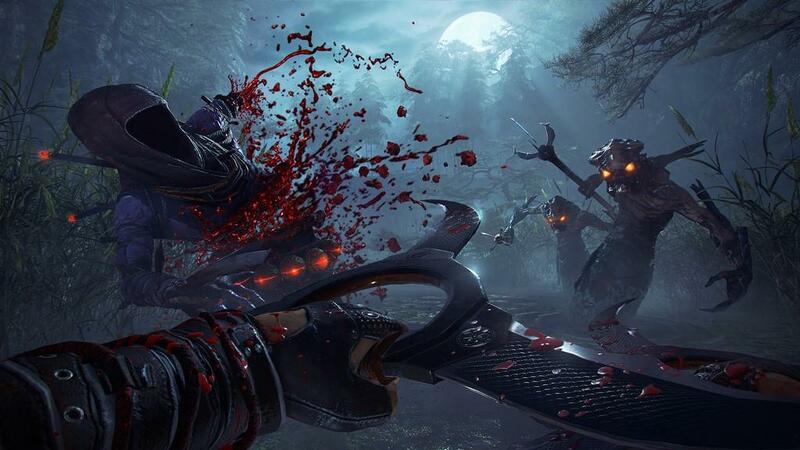 The new weapon system isn’t as seamless as I’d like and so far the story isn’t as memorable as the first game, but Shadow Warrior 2 makes up for it by delivering more ambitious combat and level design. The co-op mode is worth the price of admission alone; there’s nothing quite like heading into battle with three friends, katana in hand, to make the demon hordes sorry they ever messed with the Wang. 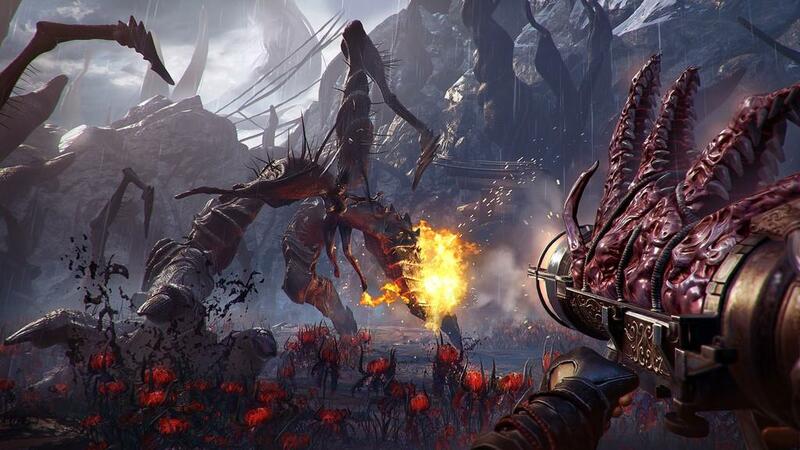 While some studios get over-ambitious and botch an anticipated sequel entirely, Flying Wild Hog has doubled down on what made the first Shadow Warrior so good and added a few great new features to grow the formula. 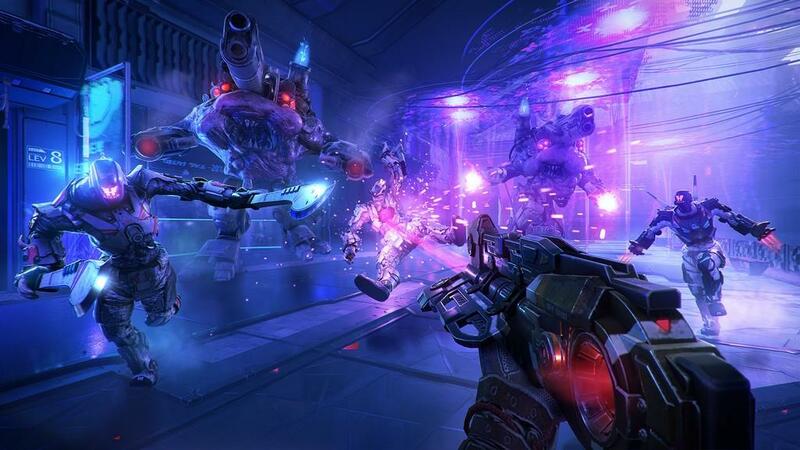 The studio has established itself as a modern master of the retro FPS, and other developers—particularly Gearbox if they ever want to do anything worthwhile with Duke Nukem—should sit up and pay attention. 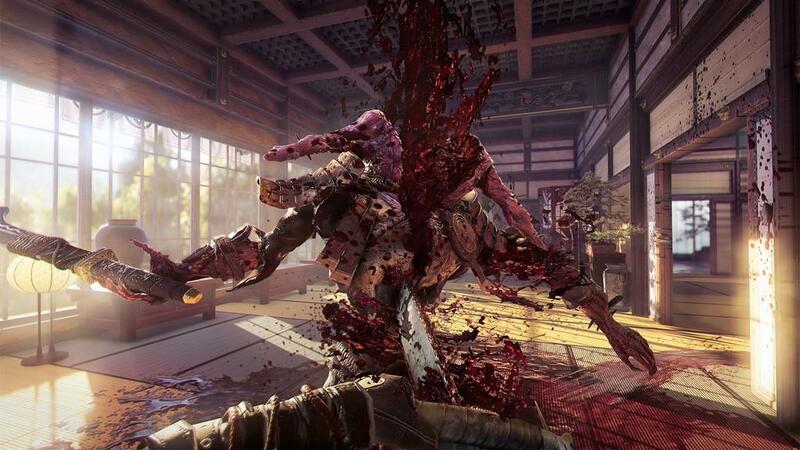 Shadow Warrior 2 stands alongside Doom as one of 2016's best old-school shooters. 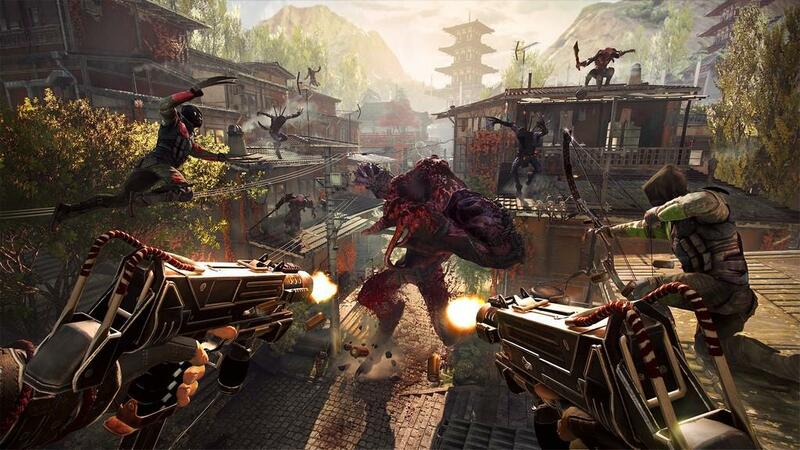 Shadow Warrior 2 is a smart evolution of the solid framework established in the first game. Bigger guns, nastier enemies, grander levels and more friends means more Wang for everybody.